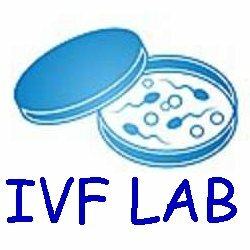 IVFLabonline, part of FertAid.com, is an independent area for scientists to find out what is new and for manfacturers and distributors to list their products and post new information. There is a regular eMail posting and a forum where you can seek help. Listed by: Geotechnical Instruments (UK) Ltd.
Oosafe disinfectants are free of volitile organic compounds(VOC)and have been mouse embryo tested(MEA)so scientists in IVF laboratories and ART can be assured that these compounds don't compromise embryo growth. Precision MicroPipets for ICSI, assisted hatching, holding, blastomere biopsy and custom applications. Listed by: In Vitro Fertilization (IVF) Plate, nonembryotoxic, noncytotoxic, tissue-culture treated polystyrene. The Sonoscape S6 offers high performance ultrasound imaging that incorporates precise colour flow mapping, doppler and B&M mode imaging on a large 15 inch high definition LCD display. GM508 Cult-Active is used to activate oocytes for patients with failed fertilization after Intracytoplasmatic Sperm Injection (ICSI) in previous IVF cycles. ViaMetrics-E™ is a rapid, non-invasive procedure for in vitro fertilization (IVF) designed to aid in the assessment of viable embryos with the greatest reproductive potential. The EmbryoScope™ Time-lapse Monitoring System is a revolutionary new system for embryo monitoring. Fertilisafe™ Multi-Zone ART Workstation is at the top of its class with a complete set of advanced features that helps embryologists in their daily work. This is a courtesy advertisement.